INASP’s AuthorAID has selected the three recipients of its ‘Mentors of the Year 2016’ awards. 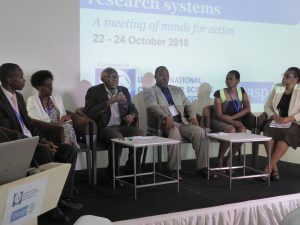 Early-career researchers in the developing world face particular challenges in communicating their research with others in their field and more widely. This might be due to poor technical writing skills, lack of familiarity with English, or a lack of experience and guidance on academic publishing practices. 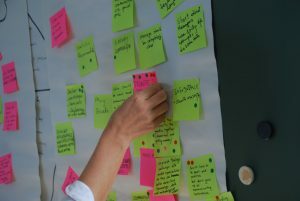 One way that the AuthorAID project supports these researchers is by connecting them with volunteer mentors from around the world. In recognition of some of the excellent support AuthorAID mentors provided in 2016, three of most prolific and dedicated mentors are being presented with ‘Mentors of the Year 2016’ awards. Dr Barbara Burmen from Kenya (1st place), Matt Hodgkinson from United Kingdom (2nd place) and Dr Shiri Diskin from Israel (3rd place) are the winners. 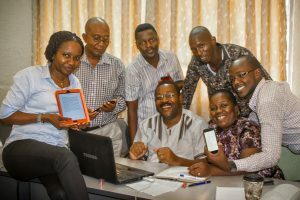 The selection was made by the AuthorAID team based on both feedback from mentees and tasks recorded on the AuthorAID website during 2016. As a token of appreciation, each of these volunteer mentors will receive a £50 Amazon voucher. 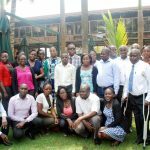 “We would like congratulate this year’s awardees of AuthorAID mentors of the year, and would also like to thank the many mentors who support early-career researchers in lower- and middle-income countries though our AuthorAID platform. Their support and dedication is invaluable,” says Jennifer Chapin, Programme Manager, Research and Communication and manager of AuthorAID. Dr Barbara Burmen has been well appreciated and voted by many mentees for her support in mentoring process. “I had an amazing experience with [Barbara]; she helped me develop a proposal to completion and it was even accepted by ethical review,” says one of her mentees from Ghana. “Barbara was very patient and guided me expertly. I would definitely recommend her to others,” the mentee adds. The other two winners, Matt Hodgkinson and Dr Shiri Diskin, are also very well appreciated by their mentees. Matt has been a mentor since 2013, and he was involved in over 10 AuthorAID mentoring interactions in 2016. Watch an interview with Matt about his mentoring experience here. Shiri also signed up as a mentor in 2013 and was involved in nine AuthorAID mentoring interactions during 2016. “Shiri has been a great mentor. She helped me edit a lot of articles and within the agreed time limits. She also helped me improve my skills,” says one of her mentees. Learn more about the winners of Mentors of the Year awards here. 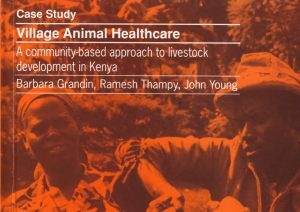 A key goal of AuthorAID is to support early-career researchers in lower and middle income countries to find mentors who can help them progress in their careers. • The online mentoring system helps pair experienced mentors with researchers who need support at any stage of their writing project. • Mentoring relationships can be short or long-term, and mentors and mentees have the option of signing a mentoring agreement to set out clear objectives for both parties. • Mentees can request help with a wide range of tasks, from specific activities such as planning the structure of an article, language editing and interpreting data, to longer-term help such as developing a grant proposal, and career planning. Find out more about being a mentor or mentee here. Help us spread the word: Share information about the AuthorAID here.